One Rooster Mongolian Grill, the "create your own" stir fry eatery on the Westside, has closed. The restaurant, which opened this past February, was meant to be the next evolution of the restaurant that had occupied its space previously, The Original Chow Baby. One Rooster confirmed the closure in a message posted to their official Facebook page earlier this afternoon. 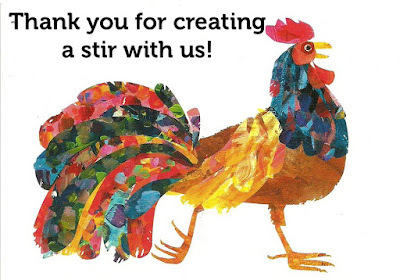 We are sad to inform you that One Rooster is officially closed. Our sincere appreciation to everyone who supported us." Mike Blum, founder of The Original Chow Baby, was a minority partner and consultant for One Rooster. According to Blum, One Rooster was majority owned by venture capitalists. A spokesperson for Blum tells ToNeTo Atlanta that "despite excellent online reviews, there was just not enough foot traffic or diners coming through the doors to keep the restaurant open." The spokesperson goes on to say "When Mike Blum opened The Real Chow Baby in 2005, there were limited options for fast casual dining options on Howell Mill Road/Marietta Street/Northside Drive. Today, there are so many options and much more competition, especially at lunch, for these diners." Blum, along with Chef Guy Wong, continue to be partners in upscale Vietnamese eatery Le Fat, located on Marietta Street, not far from One Rooster. The duo are also partners in Ton Ton, a ramen bar in Ponce City Market. Sources say there are no current plans for the vacant One Rooster space, but given that it was so recently remodeled and is located near so much new and upcoming development, it's sure to attract heavy interest. Are you surprised that One Rooster closed after such a short time in business? What is your favorite casual Westside restaurant? What would you like to see open in place of One Rooster? The 3,100 SF space with 900 SF covered, conditioned patio is being marketed by Oakhurst Realty Partners, for more information interested parties may call 404-371-4422. Experienced operators only. I think it was the name. That concept may need an indicator of what it is to get ppl in the door.